"From the moment you walk in the staff is welcoming and all the nurses are friendly..."
"Best place, we have moved really far and I make the drive again for our second baby." "Great and fast service. First pregnancy with Mimi Song as my midwife and she’s great." "The whole staff is amazing! Delivered two babies with this group and have no complaints!" "I love everyone hear!! You Seriously could not find a better OBGYN. Highly Recommended!" "I love this man doctor more than anyone on earth! Worth the wait." "Love Dr. Tackitt he is amazing and makes me feel so comfortable. He has been so helpful." OB-GYN Associates of Marietta is a state-of-the-art medical practice that’s provided renowned and high-quality medical services to the women of Northwest Georgia for over 40 years. With offices conveniently located in Marietta and Woodstock, Georgia, OB-GYN Associates of Marietta is Georgia’s premier destination for the best in obstetrics and gynecologic care. 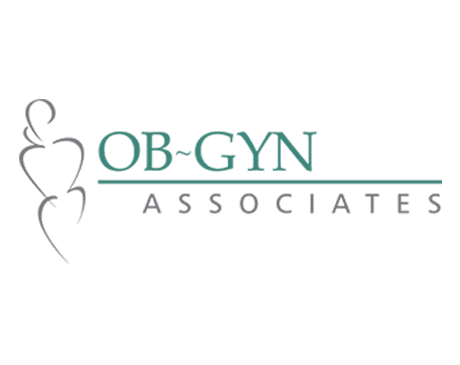 All of the physicians at OB-GYN Associates of Marietta are board-certified practitioners who are respected for their compassion, achievements, and medical skills. Many have served as chairmen of OB-GYN departments at major hospitals and have published research in national medical journals. The practice also uniquely has certified nurse-midwives on staff in addition to their OB-GYNs, ensuring that patients get incredibly personalized and high-quality care. OB-GYN Associates of Marietta provides a full spectrum of excellent health care services to women in every stage of life, from puberty through menopause, including routine gynecologic exams, obstetrical care, menopause management, cancer screenings, and urogynecologic care. At the practice’s modern and comfortable offices, patients are able to relax and feel at home during their visits and procedures. For unsurpassed medical care where the patient is put first, look no further than OB-GYN Associates of Marietta. Our Practice is approved to offer CenteringPregnancy, a program to help improve health by transforming care through centering groups. Our Practice is Unique in That We Have Both Physicians and Certified Nurse-Midwives on Staff to Provide For Our Patients. Our board certified physicians and midwives provide a full range of healthcare services to women through all stages of their lives - from puberty to child-bearing ages, and through menopause and beyond. We pride ourselves in providing high quality care in a personalized and comfortable environment. OB-GYN Associates of Marietta Welcome Dr. Natalie Needham To Our Practice! She Will Start Seeing Patients in May. A wide range of factors — both controllable and uncontrollable — can influence your chances of having a high-risk pregnancy. Here are some steps you can take to ensure your pregnancy is as healthy as possible, from conception to delivery. "I have always been given the most exceptional care and concern shown. I have recommended plenty of my girlfriends to this practice and they could not be more happy!" "I have endometriosis and I have only seen Dr. Kelley (3 surgeries with him actually) and I have absolutely not complaints." "I can not say enough good things about these AMAZING doctors and midwives. I adore Dr Kelly and Dr Chappell and I trust them with the lives of my children, literally!" "He performed a minimally invasive hysterectomy using the DaVinci method and I am thrilled with the experience and outcome." "Great beside manner, always kept me informed and listened to my concerns. I had a DaVinci myomectomy and only have a few small dots left from the incisions." "The most competent and most compassionate OB/GYN. He is incredibly kind, listens to concerns, and ensures that there is a resolution in place." "f you want the best medical care you'll ever receive and a doctor AND surgeon who will take all of your concerns into consideration...see Dr. Chappell." OB-GYN Associates has two convenient office locations, Marietta and Woodstock.